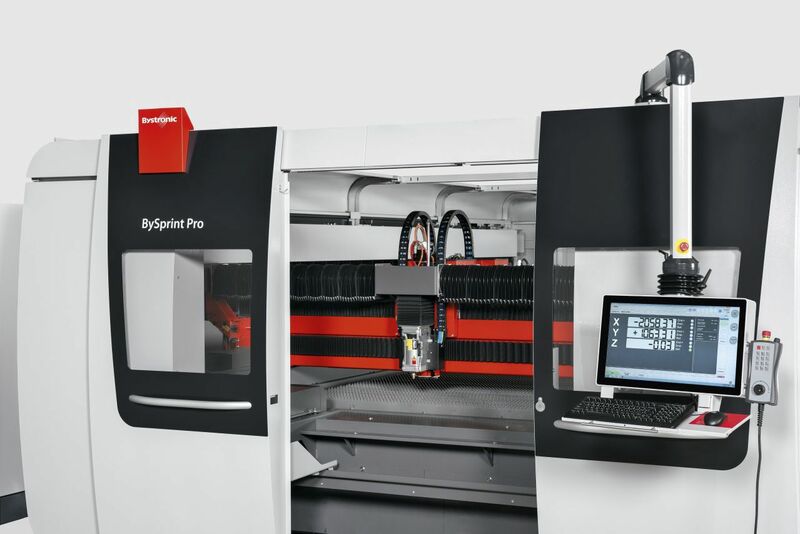 The BySprint Pro from Bystronic is a laser cutting system that features an automated nozzle change and nozzle alignment which makes it capable of increasing machine autonomy and minimizing necessary operator intervention. 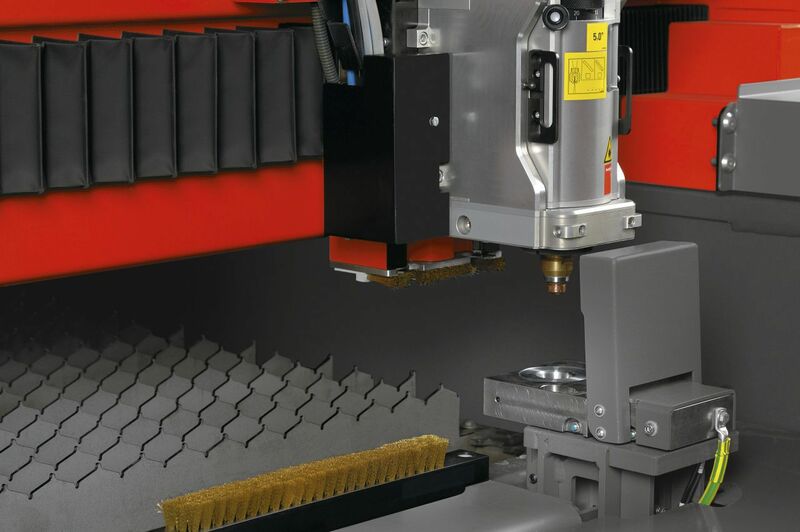 Its compact design is integrated with the latest cutting and piercing technology that combines plasma-supported high-speed cutting and high machine dynamics which enables it to have short cutting times with a peak simultaneous positioning speed of 140 m/min and peak axis acceleration of 12 m/s2. 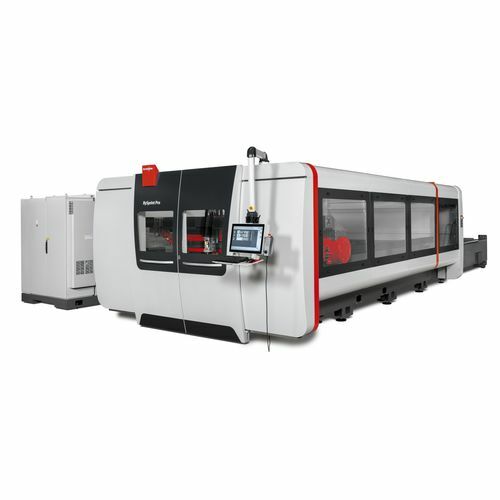 The machine can work under minimal servicing as it utilizes wear-free magnetic bearing compressors and semiconductor excitation. 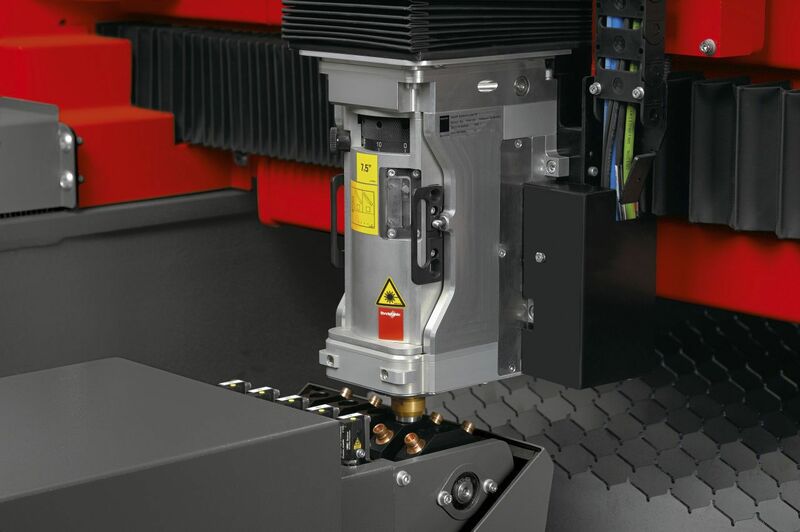 It is operated via touch screen and a manual control unit, and can be equipped with a machine encapsulation that minimizes noise and smoke emissions.